Leebo Luby and Teatro Pomodoro present The Farucchio Peru Show, a riotously surreal concoction of clowning, kitsch and nonsense co-devised and directed by Aitor Basauri. 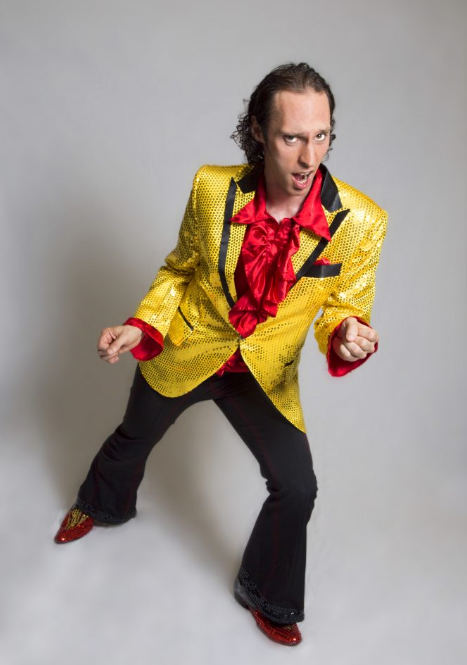 Farucchio Peru is a one-man army of all-round entertainment extravaganza or... a screwball idiot with ridiculous delusions of international stardom. Or both. This is his show. You be the judge. Leebo Luby is a Gaulier graduate and a member of Teatro Pomodoro, who toured the award-winning Cabaret From The Shadows nationally and internationally 2017-2018. (Cabaret From The Shadows **** BroadwayBaby). Please note: These tickets will be held on the door for you to collect on the night and will not be posted out.